With the release of its self-titled album in 1991, Metallica immediately transitioned from menacing thrash into the listener-friendly world of stadium rock. 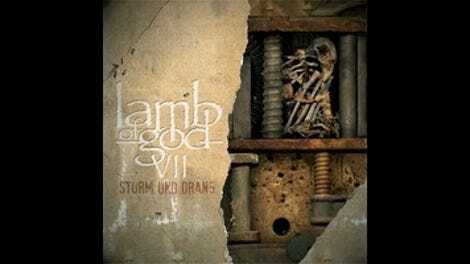 Although Lamb Of God’s move toward accessibility has been more gradual, when comparing new release VII: Sturm Und Drang to the band’s earlier material, the decision to exchange brutality for mainstream appeal is clear. 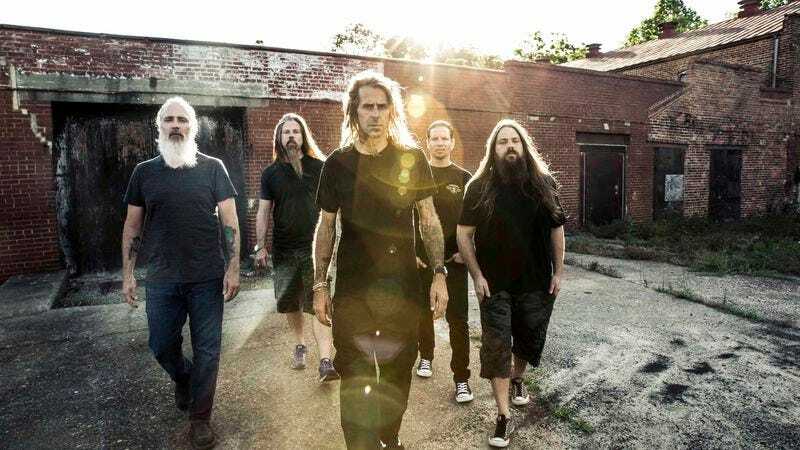 Lamb Of God’s early releases offer classic examples of Southern groove metal, intermixing the thrashing squall of Slayer and Sepultura with deep-fried breakdowns that pay homage to Soilent Green. As The Palaces Burn (2003) and Ashes Of The Wake (2004) add odd time signatures to this formula, as if, in between decimating 30-packs of High Life, the Lamb Of God dudes were studying calculus. The release of Sacrament in 2006 started Lamb Of God on a hollow downturn, with the same dry, overproduced guitar sound and mechanical drumming that drives bands like Avenged Sevenfold and Killswitch Engage, and only flashes of the band’s original bite. Wrath and Resolution each mark further steps in this direction, and, unfortunately, so does VII: Sturm Und Drang. The record begins promisingly enough with “Still Echoes,” a song that bursts out of the gate with blastbeats and a guitar riff that blends ’90s death with modern black metal. But the following track, “Erase This,” features noodling guitar work that sounds like something listeners might hear in Hot Topic. The song is almost saved by a weirdly cool guitar solo that uses a similar effect as the vocals in Bon Jovi’s “Livin’ On A Prayer,” but it quickly circles back to bland mall metal. First single “512” gets its title from the number of a cell in Pankrác Prison, where singer Randy Blythe was held in 2012. Two years earlier, a young metalhead was fatally injured at a Lamb Of God show in Prague, and Blythe was charged with manslaughter. But “512” fails to do this intense subject matter justice, transitioning from affected thrash into a chorus that evokes an uncomfortable sense of crowd consciousness. “Torches”—with vocals from Dillinger Escape Plan’s Greg Puciato, and a hackneyed move between clean singing and guitars into a distorted main riff driven by Blythe’s screaming—sounds like Disturbed doing its best impersonation of Lamb Of God. The cut unfortunately provides a fitting bookend to a generic album.